SATURDAY, SEPTEMBER 22, 2018 9:00-3:00 at the Shrine of the North American Martyrs in Auriesville! 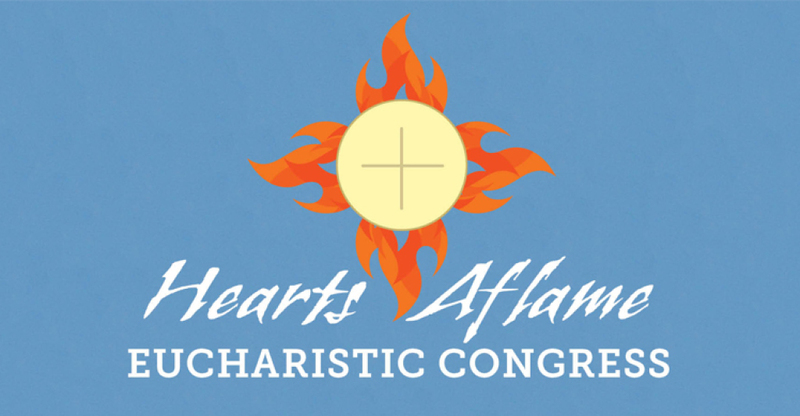 The Eucharistic Congress is a diocesan- wide gathering with Bishop Edward B. Scharfenberger, centered around the Lord Jesus in the Eucharist. It will include special speakers, devotions, and activities for children and youth. For more information or to register go to www.rcda.org/heartsaflame . We will be providing more information as we get closer to the event.